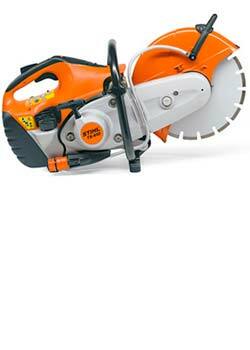 Husqvarna concrete saws and Stihl concrete cut off saws for sale in Ireland. 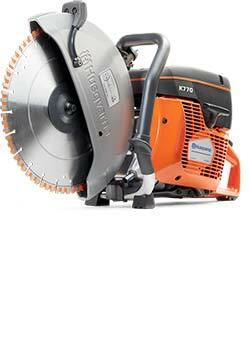 Complete range of both Stihl and Husqvarna power saws available with delivery all over Ireland and Northern Ireland. We stock only the best, which is why we don't bother with any other brand of cut off saw. The new Stihl TS410 and new Husqvarna K770 would be out most popular models, both able to drive a 12" blade with ease. We test and run all saws before delivery, meaning we are sure they are ready to work when they arrive, call and order yours today! Cutting solid, hardended materials like concrete and stone can be a demanding task. You can rely on a Husqvarna petrol powered disc cutter to get the job done with minimal effort. We offer a handheld disc cutter that you can depend on - allowing you to work with precision, less effort and optimal efficiency. Husqvarna's petrol disc cutter is redesigned for heavy duty frequent use in cutting concrete, masonry and steel, and designed to help you get the job done – effectively and ergonomically. Robust machines for demanding tasks Stihl cut off saws are specially designed for hard work on construction sites. The equipment has particularly long maintenance and servicing intervals and uncompromising reliability. Operating costs are therefore kept low and this plays an important part in increasing profitability. Other features include the outstanding cutting performance, standard long life filter system, sophisticated operating convenience and almost legendary easy servicing by Stihl.